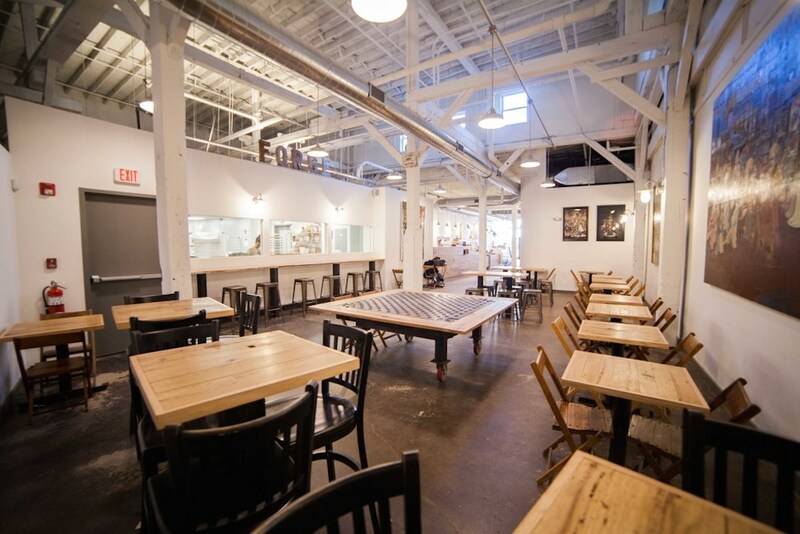 For our favorite frothy pour, head to Forge Baking Company. Cold brew coffee, a no-heat iced joe making method, was all the rage this summer. It’s no wonder; with the beans simply soaked in cold water, they release less bitterness into the brew than when coffee is heated. You’re left with a super smooth and flavorful cup. 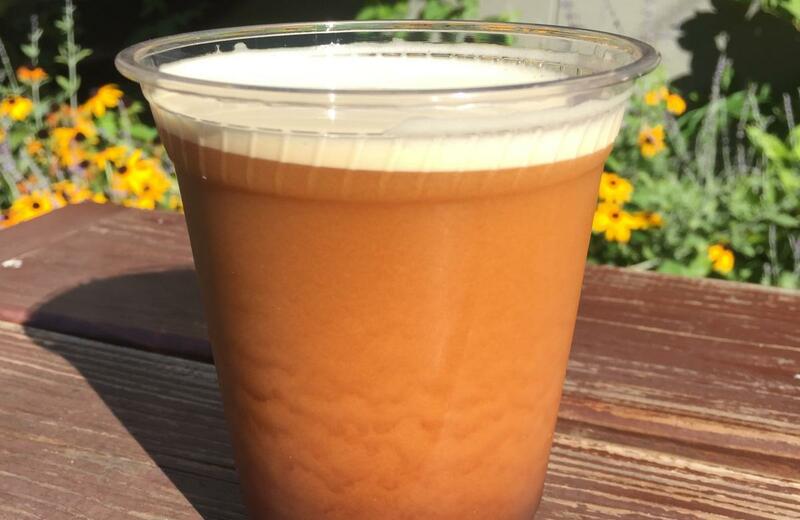 Nitro, the next big trend in coffee, takes cold brew a step further, in the direction of craft kegging, with a frothy, Guinness-like coffee that’s served on tap. Nitro is not an easy (or inexpensive) product to make and sell, but you’ll find it popping up at places all over greater Boston — from Beatnik Beverage Company in Kendall Square, Cambridge, to Sunny Boy in Washington Square, Brookline—but the best we’ve tasted is at Forge Baking Company in Somerville. I chatted with Jess Brasil, director of retail stores for Forge, Diesel Café and Bloc 11 about how she came up with their cold brew process. I naively assumed that nitro coffee ran through a tap like soda syrup, but it turns out you have to keg it ahead of time, using the same process as any beer, and install a tap-line in order to serve it fresh. Brasil tells us that despite the creamy mouthfeel and slight sweetness to nitro coffee, there are no added ingredients (beyond nitrogen). “It’s just coffee, there’s no sugar in it, no dairy, nothing.” She also says they were the first company in the Boston area to sell nitro to the public when they whipped up their test batch for the Somerville Artbeat festival in 2013. She notes that the trend has caught on quicker on the West Coast and in New York. Cold-brew coffee uses more beans than a traditionally brewed batch of iced coffee. Add on the labor and costs of kegging and installing tap lines, and it’s not surprising that nitro often costs more than your usual iced coffee. Currently, it’s $4.25 for 10 ounces at Sunny Boy, $4 for 16 ounces at Beatnik and $5 for 12 ounces at Forge. Though she would like to see nitro at all three of the company’s cafés, for now, it’s only available daily at Forge. Because they have a mobile set-up, you will find nitro at special events, like the “Bloc Party” at Bloc 11 this Saturday for Union Square’s annual Fluff Festival. Brasil tells us that along with the nitro,“There will be bands, and we’ll be partnering with Aeronaut, so they’ll be selling beer.” The neighborly nitrogen collaboration continues.